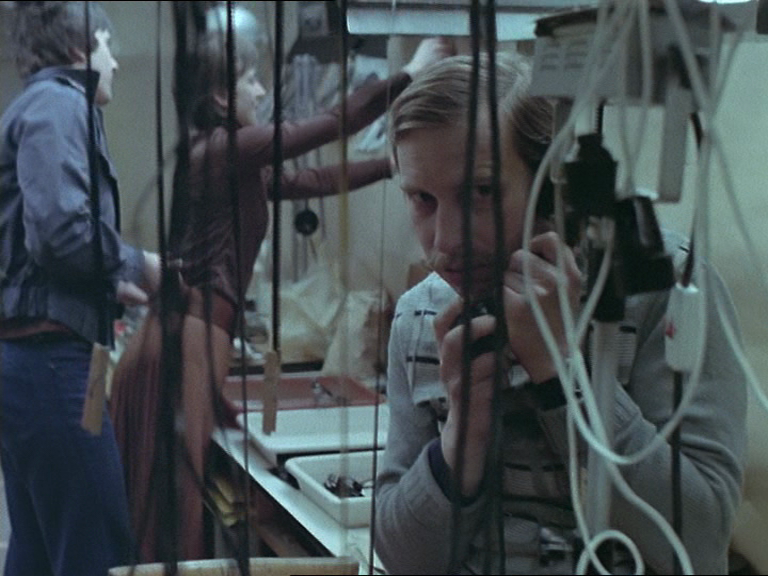 Camera Buff (which has the less sensational title Amator (amateur) in the original Polish) was Krzysztof Kieślowski’s first internationally recognised film, prior to the institution of martial law in December 1981, which stymied the release of Polish film beyond the domestic market. Having produced a variety of films (short features and documentaries that reflected both the realities of the Communist regime while offering guarded criticism), this film was his second feature, but marked a digestion of all his work until that point and its effect on his private life. The plot seems to begin at the exact moment that most films reach their conclusion. Filip (Jerzy Stuhr, who had starred in Kieślowski’s first feature, The Scar (Plizna) the previous year) has a wife, friends, a job and is expecting his first child. From this, an inexplicable drive away from the ‘complete life’ begins. Filip’s wife Irka (Malgorzata Zabkowska) becomes increasingly frustrated at his alienation from their lives, while Filip believes he is immortalising it. The body of the film is then a tale of the uses of cinema (preservation, documentation, manipulation, propaganda) and the paradoxical removal from experience that comes with the attempt to capture the ‘realities’ of life. In the best sense, Kieślowski’s filmmaking is still that of a documentary maker here. His tender application to the daily life of ordinary humans, the anxious approach to the politics of depiction, and the feeling of serendipity rather than artifice in his best shots: all of this extends from a firm grounding in documentary practice. Furthermore, Kieślowski chose to feature many non-professionals to depict themselves. 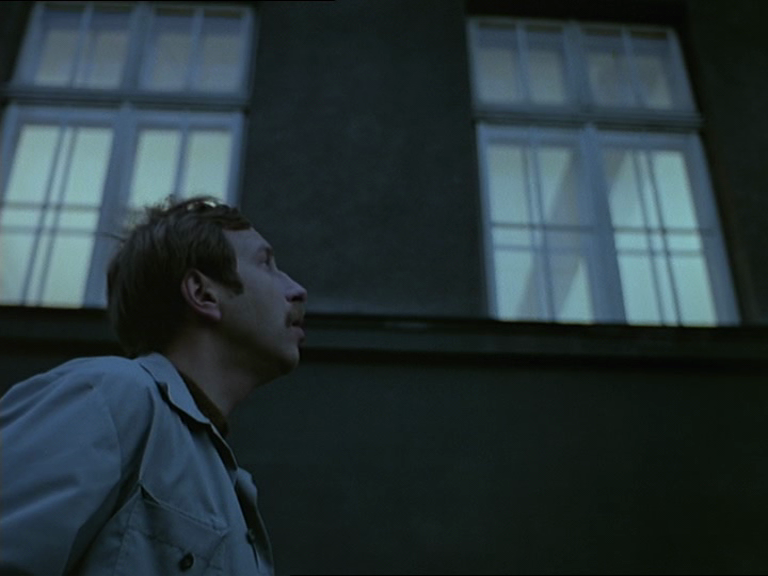 Kieślowski emerged from the National Film School in Łódź, along with Roman Polanski and Andrej Wadja (though unlike Andrzej Żuławski, whose Possession is the final film in this series). Like many of the centralised film schools in Communist Europe (FAMU in Prague seems to have provided a similar outlet), their influence lay not necessarily in the teaching environment – which could often be stultifying and prescriptive – but in offering a group of similarly impassioned people to interact and collaborate. There was also the opportunity to watch a broader selection of films than those offered to the general public. Although Kieślowski claimed never to have shared the protagonist’s preoccupations (‘I wasn’t ever fascinated with the camera like that. Later on I made films because that was my profession, and I was too lazy or too stupid or both to change profession at the right moment.’) he does shares Filip’s reticence to share the title of auteur or artist. Instead, he considered himself an artisan. 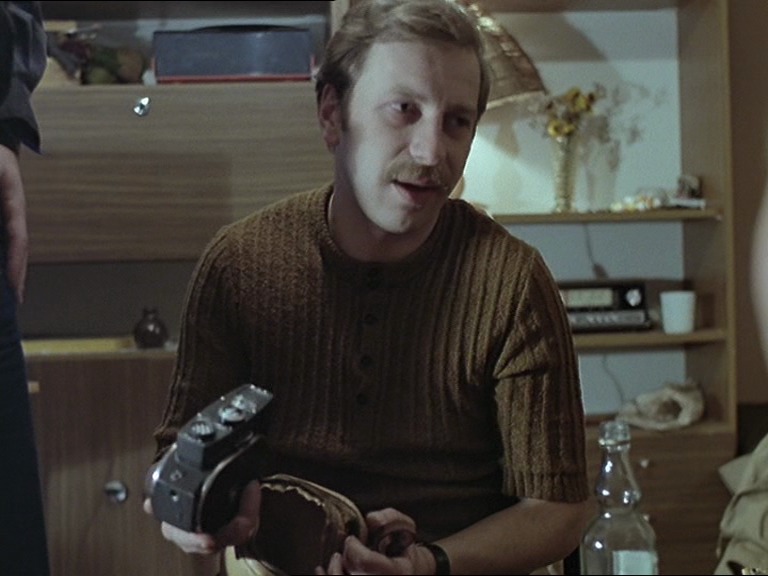 Even if Kieślowski had not been engaged in the difficulties of raising his own young family, his camera eye had turned to a young couple’s delivery of a baby in his 1974 documentary short First Love (Pierwsza Miłość). Kieślowski’s humility places him firmly in the world of the amateur film clubs that have such an ambivalent presence in the film. Although their subsidy was certainly in the service of glorifying the Soviet state, the reality they captured was impossible to convert to pure propaganda. Their legacy was celebrated in an exhibition at the Whitechapel Gallery by Neil Cummings and Marysia Lewandowska entitled Enthusiasm, offering samples of the films in a recreated 1970s Communist milieu. The self-reflexivity of the film is actually a double reflection: not just about a film about filmmaking, it is about Kieślowski’s specific experience of filmmaking. Although he has denied the central dialectic of the film – that ‘normal’ life is incompatible with artistic creation – the parallels with his own creations are clear. Kieślowski’s career leading up to this film had alternated between feature films and documentary pieces, mostly depicting single figures – a night porter, a bricklayer – and their nobility in the face of vast bureaucracy. Camera Buff finds Kieślowski at a crossroads, meditating on the difficulties of the past and setting an agenda for the future. Please visit www.enthusiastsarchive.net to view an archive of the films from the Whitechapel Gallery exhibition. It might be useful for your readers to know that all films from the Enthusiasm project at the Whitechapel can be seen at http://www.enthusistsarchive.net and are under CC licence. Thank you for leading me to this Marysia. I wanted to look more closely at the films themselves as Kieslowski makes a wonderful case for them as capturing something unique but I didn’t find the site in a preliminary search. It’s really good to be able to share these under a Creative Commons license. A good post. I enjoyed reading this. 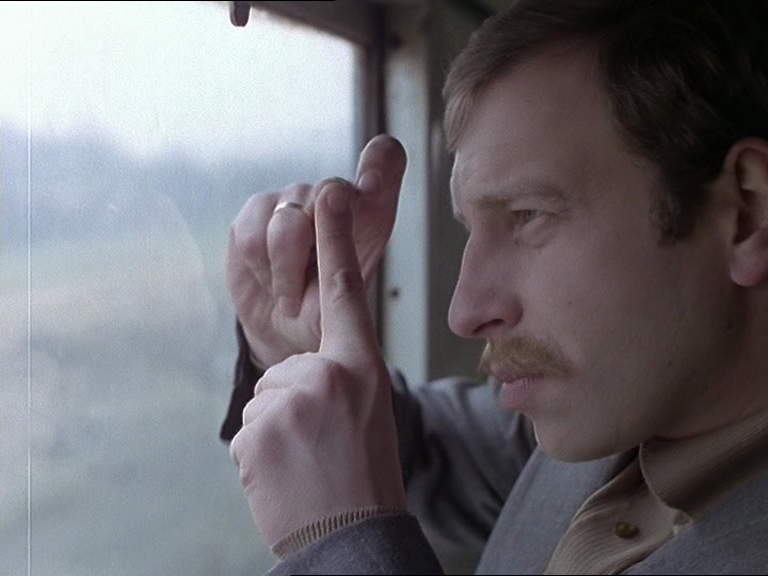 In this 1979 film, Kieslowski showed where he was heading next, particularly in the final scene where the protagonist turns the camera on himself, in effect, on his inner person. The idea that a camera might capture truth or reality was realized to be naive. The only way forward for Kieslowski now, with regard to describing reality, was with fiction films. He realized how documentary films were self-limiting, even if his later feature films seem to almost have a documentary feel to them. Have a very good evening. Thank you very much. I was interested in the film after only seeing his later work in France and being quite moved at how specific it was to Poland and the period, but without being slavishly political.